There are a variety of approaches that are used, as well as being investigated, for Duchenne. There are a variety of ways you can help manage the impact of the disease on your child, including consultations with experts in nutrition, physical therapy, and/or mental health services. This list of experts is not comprehensive, and your child will probably need to see additional experts as the disease progresses. 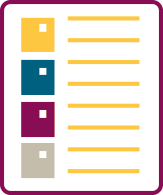 If you don’t have a care team in place, visit PPMD’s resources for information on how to create one. If you already have a full care team, consult with them to determine the best path forward based on your child's needs. Corticosteroids are the most commonly used medications for Duchenne. A doctor may prescribe these drugs to help slow down the muscle damage and weakness caused by the disease. They work, in part, by reducing inflammation — or swelling — in the muscles. They may also help the heart and lungs remain stronger longer, and reduce the chance of having a severely curved spine (a condition called scoliosis). There are various types of steroids; corticosteroids are just an example. 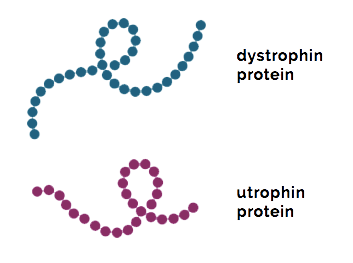 In general, exon skipping technologies strive to address the underlying issue with Duchenne – a lack of the protein dystrophin. 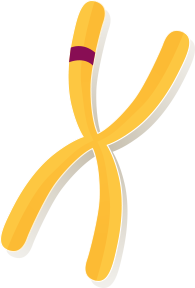 Many people with Duchenne have a genetic mutation in which one or more exons (a portion of a gene) in the dystrophin gene are missing. This causes errors in the instructions for making dystrophin, leaving the body unable to produce the protein. 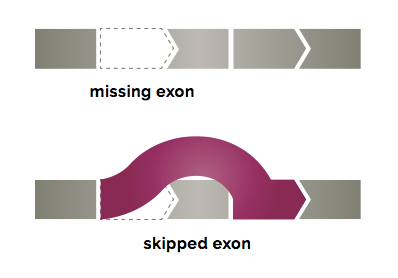 Exon skipping tells the body to hide an exon next to the missing piece, so the whole section can be skipped over and the remaining exons can fit together. The intent is to allow the body to make a shorter form of the dystrophin protein. A nonsense mutation is a change in the genetic code that tells the body to stop making a protein before it is finished. 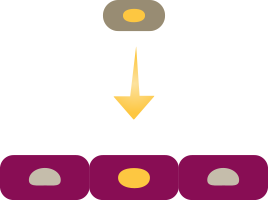 This prevents the production of full-length, working proteins. A therapy has been developed to allow the body to ignore (or “read through”) these incorrect “stop signs.” If the body can ignore the mistakes in the instructions for making the protein, it may be able to once again produce the full working protein. In the EU, one drug has received conditional approval to treat this nonsense mutation. 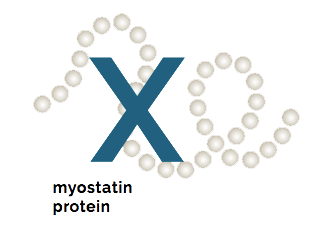 Myostatin is a naturally occurring protein that limits muscle growth. It prevents muscles from becoming too large. While this is a good thing in healthy people, in people with Duchenne, this can make weakened muscles worse. Researchers believe that if they can stop myostatin from doing its job, it may help people with Duchenne develop more muscle mass early on in life. If muscle mass is built up earlier, it may delay the effects of the disease. This technology is currently being evaluated in clinical trials. 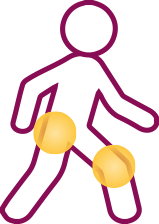 As muscles weaken and are damaged by Duchenne, a process called fibrosis takes place. Fibrosis is similar to scarring, and causes muscle fibers to be replaced by fat and connective tissue. This prevents muscles from working properly. Researchers are currently conducting clinical trials to determine whether these muscle fibers can be protected by medications that target the fibrosis process. There is another protein in muscle cells called utrophin. It resembles dystrophin and performs a very similar function. Utrophin is produced in the early stages of muscle development, but is then “turned off” in favor of dystrophin production. Researchers are currently investigating whether they can turn utrophin production back on and if this can help make up for the lack of dystrophin. This technology is currently being investigated in clinical trials. The lack of dystrophin in people with Duchenne causes muscles to become damaged and weak. Muscles normally repair themselves, but without dystrophin, muscle damage gets more and more severe, until the repair process can no longer keep up. Researchers believe that if they use stem cells from normal muscle tissue, they may be able to inject them into people with Duchenne to create new muscle cells that function normally. This technology is still in the early stages of exploration. Gene therapy is an experimental technique in the very early stages of development. 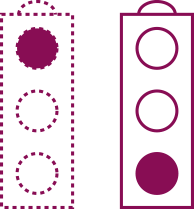 The goal of gene therapy is to insert the correct gene instructions for a missing protein into a cell. For example, in Duchenne, it would insert the correct gene for dystrophin into a muscle cell. The challenge is – how do we get into the cell? Researchers are currently exploring using viruses as the “delivery man.” Since viruses already deposit their own genetic code into cells (this is how you get an infection), researchers believe it may be possible to change the virus by removing the harmful genes from the virus and replacing them with the needed instructions. Visit the Muscular Dystrophy Association (MDA) or Parent Project Muscular Dystrophy (PPMD) to learn more.